I was scratching my head trying to think of all the current Boeing 787 operators, and for some reason or another Air India didn’t even register in my brain. We’ve all heard plenty about every other airline operating this new airplane, but for some reason or another Air India just doesn’t get much mention in the news and the media. In light of that, I’ve decided to do an illustration of one of their new 787′s to help give them some of the attention they deserve. The orange red colors. Awesome, and very unique! Air India titles in English on one side of the airplane, and in Hindi on the other. The yellow “sun” graphic is nice. 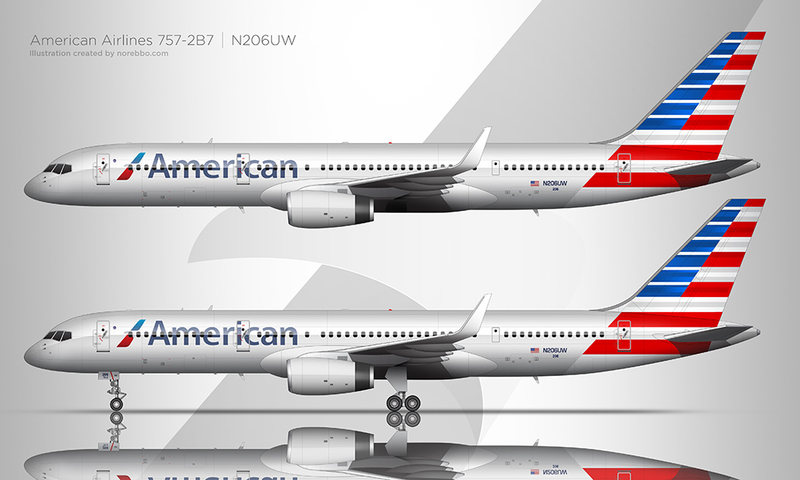 It adds a nice splash and style to an otherwise simple livery. The way the red color of the tail “wraps” around the horizontal stabilizer. In and of itself, it’s a nice treatment. 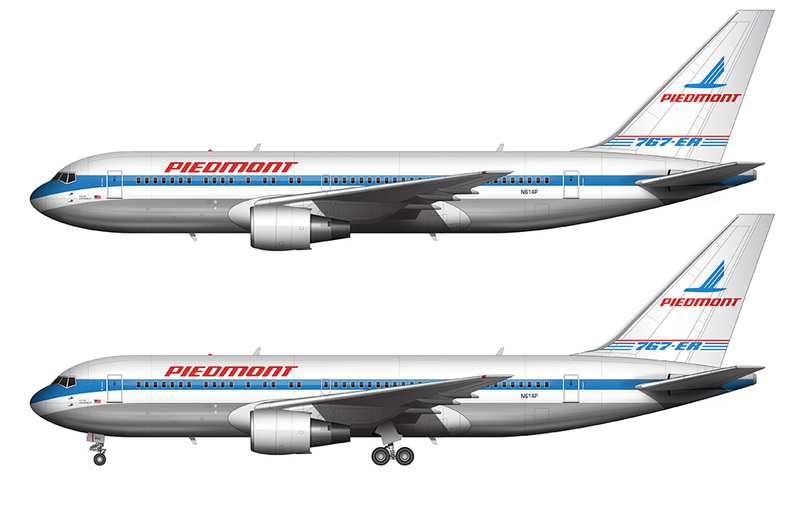 My problem with it is that all airplanes are built differently with wildly different dimensions, so it will look different depending on which aircraft it’s painted on. Is that really a smart thing to do when trying to build a consistent brand identity? The red frames painted around each window. This adds a lot of unnecessary visual complexity IMHO. Greetings from India. I was going through liveries on the internet, and it was great to find out that somebody had done an Air India livery! Great job! Let me answer some of your doubts. It would be interesting to know your views on these other applications of the livery. and about your last query- Why did AI get the 787-8- that has a deeper answer. And I came to know it when I used to work at Air India’s A320 maintenance division in New Delhi. Tthe simple answer is- Politics. AI has a very diverse fleet. We have got A320,A319,A321,B747,B777,B787,CRJ-700,ATR-72. Any mechanic will tell you the glaring problem this entails- ‘x’ different types of a/c mean ‘x’ different types of spares, ‘x’ different types of mechanics. Air India is a flag carrier- it is fully government owned, the employees are all pensioned govt. employees. All a/c are government property. And so it is used as many other arms of government are used- for political/ diplomatic purposes. The general view back at AIESL was that the purchase of the 787 was diplomatic in nature, and had not much technical reasoning behind it. Partly because it directly competes with AI’s own B777-300ER, most of which have a lot of service life still left. At the same time, AI is not in a very healthy financial state- it has not made a profit since the 1980s, there are frequent strikes and unionization, flight delays are common. But since it is government owned, it is regularly injected with cash. One then wonders the rationale to spend nearly a billion dollars on a new 787-8 when you have a 777 that can already do the job- flying NY to Delhi non- stop, which is AI’s longest route. Thanks for the really good info Pranay! 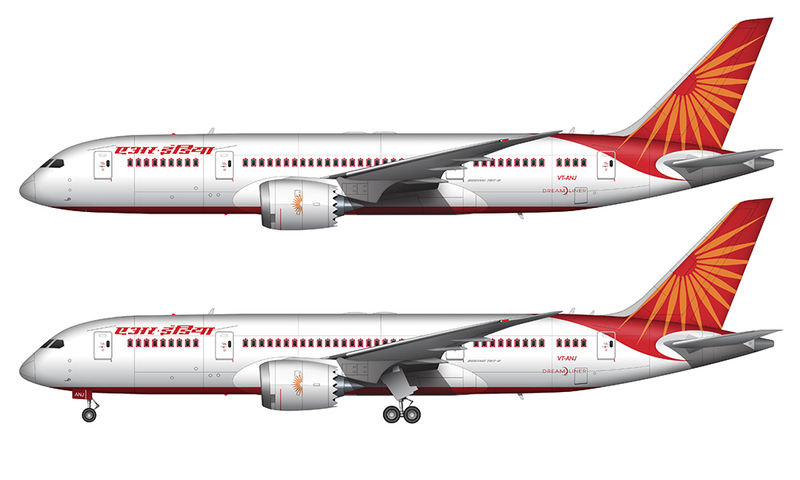 I hope to create more airliner art with the Air India livery (past and present) in the near future – they’ve all been quite striking IMHO.